Michael Klein is a trial lawyer in Dykema's Austin office. In his career that spans 35 years, Mr. Klein has tried over 45 matters to final award or judgment in both state and federal courts, as well as arbitration. His five most recent jury trial victories involved first-party wind-hail litigation. In addition to first-party coverage litigation, Mr. Klein also represents insurance clients in governmental investigations, declaratory judgment actions and injunctive matters involving insurance regulatory and consumer protection issues. He has extensive experience in healthcare Prompt Pay litigation and advising clients on the implications of the statute. Mr. Klein filed the first lawsuit to challenge the constitutionality of the Insurance Commissioner's power of restitution when the Commissioner ordered 47 insurers to pay $36 million in "restitution" to medical providers for violations of the Prompt Pay Act, in what the Texas Department of Insurance referred to as the "Prompt Pay Blitz." He has represented clients in healthcare Prompt Pay disputes, including "mass action" lawsuits involving hundreds of providers. Mr. Klein also represents healthcare and insurance clients in network provider litigation, delegation oversight litigation and provider incentives litigation, as well as other healthcare-related litigation. Mr. Klein's practice involves all aspects of real estate litigation, including real estate purchase and improvement contracts, real estate fraud and negligent misrepresentation litigation, real estate partnership disputes, residential and commercial construction defect litigation, commercial landlord-tenant litigation, commercial and construction site premises liability litigation, construction site accident litigation, construction site litigation related to storm water discharge, litigation regarding damages to commercial property caused by defective products, and Fair Housing Act litigation related to disparate impact claims and reasonable accommodation claims. Mr. Klein also handles trade secret litigation matters. He has at different times represented all three parties in trade secret lawsuits. Secured a defense verdict in a first-party wind-hail jury trial in Dallas County involving both contractual and bad faith allegations. 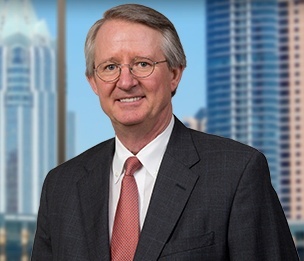 Secured a defense verdict in a first-party wind-hail jury trial in Dallas County involving the contractual portion of a case in which the bad faith allegations had been abated pending the outcome of the contractual portion of the lawsuit. Secured dismissal of a first-party wind-hail lawsuit in Hidalgo County following depositions of plaintiffs and plaintiffs’ expert. Secured a “claimant take nothing” arbitration award on behalf of a Texas HMO. A hospital brought suit under the Texas Healthcare Prompt Pay Statute alleging that the HMO wrongfully denied payment on multiple claims involving long-term acute care hospital stays. Represented the Texas Association of Health Plans and prepared its amicus brief at the Texas Supreme Court in support of Aetna in the only healthcare Prompt Pay case to reach the Texas Supreme Court. In April 2013, the court ruled in Aetna’s favor. Represented the National Association of Home Builders and prepared its amicus brief at the Fifth Circuit Court of Appeals in a Fair Housing Act matter in 2013. Represented the National Association of Home Builders and prepared its amicus brief at the Fifth Circuit Court of Appeals in a Fair Housing Act matter in 2012. Secured a defense verdict for an apartment landlord evicting a tenant in which the tenant claimed immunity from eviction by virtue of a disability under the Fair Housing Act. Obtained a significant arbitration award in a dispute involving the expulsion of several physician medical partners from an imaging center partnership. The case involved breach of fiduciary duty and breach of contract in the expulsion of the physician medical partners, among other issues. Obtained a significant arbitration award in a dispute involving the expulsion of a physician medical partner from an ambulatory surgery center partnership. The case involved allegations of breach of fiduciary duty and breach of contract, sham peer review, defamation and other issues. Obtained a ruling on behalf of a large HMO that private medical providers had no private right of action against the HMO for alleged violations of the HMO delegation oversight statute. Obtained a ruling that the Texas Attorney General and the Texas Department of Insurance could not impose civil penalties against an HMO under the Prompt Pay Act in state court litigation. Obtained a summary judgment on behalf of a national rental company against the Texas Department of Insurance declaring that damage waivers were not insurance and hence could be sold without a license from the Department. "Unauthorized Insurance: The Texas Story With National Context"
"Subchapter B of Chapter 542: In Light of Christus, an Old Statute Gets a New Application - But is That What the Legislature Intended?" "Endangered Species and Trade Secrets"
"The History and Constitutionality of the Commissioner's Power of Restitution and Its Extension to the Prompt Pay Act"